The all-new 44" Epson SureColor P10000 and 64" Epson SureColor P20000 are the successors to one of the most widely used fine art printers ever developed - the Epson Stylus® Pro 11880. 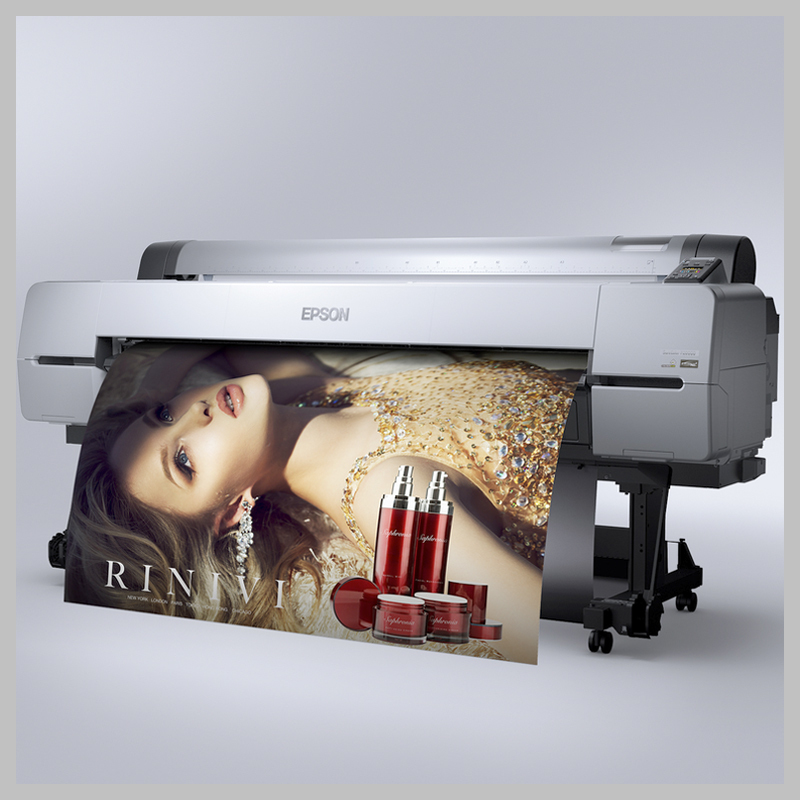 Designed for high-production photographic, fine art and indoor display graphics printing, Epson has incorporated newly-developed imaging technologies - including an all-new high-performance 2.6" wide Epson PrecisionCore® MicroTFP® print head. Along with an all-new Epson UltraChrome PRO nine-color pigmented ink set - including four levels of gray - the all-new SureColor P10000 and SureColor P20000 are the ultimate production tools for the demanding requirements of high-production color and black-and-white fine art printmaking. Including advanced media handling options from cut sheet to roll, from plain papers to photographic, fine art, and even 1.5 mm thick poster boards, the new Epson SureColor P10000 and SureColor P20000 redefine the state of the art in wide format, high-production photographic imaging applications. Minimum cut-sheet size: 8.5" x 11"
Minimum recommended cut-sheet: 13" x 19"
Maximum printable cut-sheet length: 80"
SureColor P20000: 10", 11.8", 13", 16", 17", 20", 23", 24", 28.86", 29", 33.11", 36", 40.55", 44", 50", 54", 60"
Cartridge yields vary considerably based on images printed, print settings, paper type, frequency of use and temperature. For print quality, a variable amount of ink remains in the cartridge after the "replace cartridge" indicator comes on. The printer ships with full cartridges and part of the ink from the first cartridges is used for priming the printer. Print times are based upon print engine speeds only. Total throughput depends upon front-end driver/RIP, file size, printing resolution, ink coverage, network speed, etc. Production is for prints imaged using 1200x1200 high-speed Super MicroWeave mode. Download a product preview for this product. Purchase an Epson SureColor P10000 44 inch production printer and you will receive a $1,000.00 instant rebate (our website price reflects this rebate)! Purchase an Epson SureColor P20000 64 inch production printer and you will receive a $2,000.00 instant rebate (our website price reflects this rebate)! For a listing of eligible items for this offer, please click this link. All offers end on April 30, 2019, and are limited to stock on hand.